She doesn’t, though, because Philipps brings that endearing, enthusiastic energy to everything she does—whether that’s writing a book (This Will Only Hurt a Little), hosting her own late-night show (Busy Tonight), parenting her two daughters (ages five and 10), or even posting an early-morning workout on Instagram Stories. So, yes, she brings it to her partnership with Olay for the launch of a new lightweight cream-to-liquid sunscreen. “I just love the way it feels on my skin, and I feel like it’s giving me skin care and protecting me,” she explains. I’m sold. 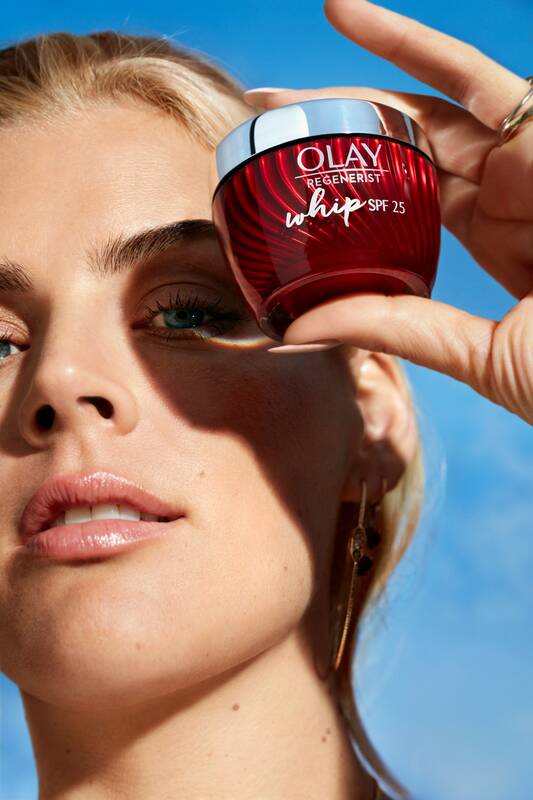 Busy Philipps: It’s something that has truly been part of my beauty routine since I was a kid growing up in Arizona. I have moles and birthmarks all over my body, so I was always hyper aware that I needed to protect my skin. I love the sun, but I’m a mom, I’m active, I’m outside all the time, so it’s hard for me to think about putting on a “sunscreen” every day. That’s why I’m obsessed with this new Olay. It’s skin care with the SPF, so it doesn’t feel like it’s weighing down my skin. It doesn’t turn my face white, or look chalky. I want beautiful skin, skin that stays safe from the UVA and UVB rays, but I also want to look good in the process. BP: I’m very into the matte, burnt sienna lipstick that’s coming back. I’ve been rocking that deep red-clay color. I’m really into the grungy makeup vibe of that lip, but let’s keep our brows big, let’s keep them thick! I love a thick brow. I think it really defines the face in a good way.